Hailed by the Boston Globe as “a firecracker of a pianist” and “master of his instrument,” Karl Paulnack has partnered vocal and instrumental soloists, chamber groups, orchestras, conductors and opera companies in well over a thousand concerts throughout North America, Bulgaria, Estonia, France, Macedonia, Norway, Romania, and Russia. Engagements of recent and current seasons include the festivals of Bard College, Madeline Island, Round Top, Royaumont, Sonic Boom and Tanglewood, as well as the Bridge, Noe Valley, Stillwater, Walker Museum, Williams College, UC Davis, UT Austin and University of Oregon concert series. He has appeared in concert at Alice Tully, CAMI, Carnegie, Merkin and Weil recital halls; Tanglewood’s Ozawa Hall, the Library of Congress and the Hollywood Bowl. His regular recital partners include violinist Jorja Fleezanis, soprano Lucy Shelton, and numerous chamber ensembles. A frequent performer of new music, Dr. Paulnack has been privileged to work closely with many of the important composers of our time including John Adams, Elliott Carter, George Crumb, Karel Husa, Steve Reich and Joan Tower in preparing performances of their works. In describing the Tanglewood premiere of Elliott Carter’s “Of Challenge and of Love” with Lucy Shelton, the Boston Globe’s Richard Dyer cited Paulnack’s “commanding” performance as “a standard to aspire to.” Dr. Paulnack has appeared as a featured guest on such public radio programs as St. Paul Sunday, Performance Today, and Morning Pro Musica, as well as on Minnesota Public Radio and BBC television. Recordings of his performances may be found on the Koch, Seamus, Innova and Capstone Labels. Early in his career, Dr. Paulnack served as rehearsal pianist and musical assistant to conductors Sir Charles Groves, Christopher Hogwood, Kurt Masur, Seiji Ozawa, Otto Werner Mueller and Michael Tilson Thomas. With the Los Angeles Opera Theater, he was assistant/cover conductor for his mentor Henry Holt, and served on the opera coaching and conducting staff of USC and the Los Angeles Philharmonic Institute. His work in opera includes conducting and coaching positions at several universities as well as the Tanglewood Music Center, where he was a member of the team responsible for the historic 50th anniversary performance of Peter Grimes, an event marking Tanglewood’s renewed commitment to opera in its Fellowship programs. Committed to a diverse, comprehensive practice of collaborative musicianship as an artist/teacher for more than two decades, Karl Paulnack served as Director of the Boston Conservatory’s Music Division from 2002-2013. 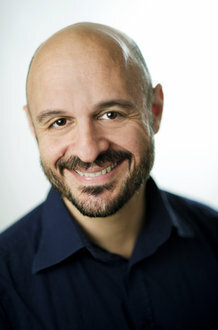 He also serves as music director and conductor of the Contemporary Opera Lab of Winnipeg, and is a faculty member of the Vancouver International Song Institute. Previously, he co-chaired the highly acclaimed accompanying and coaching department of the University of Minnesota, and served on the faculties of the Tanglewood Music Center, University of Southern California, Roundtop Festival, and Music Academy of the West. Dr. Paulnack began his academic career as faculty member at Ithaca from 1986 to 1997, where he developed the school's collaborative piano curriculum. As an advocate for music and the arts, Dr. Paulnack is increasingly in demand as a keynote speaker and lecturer. His thoughts on music have been translated into six languages and appeared on well over 100,000 websites, in print publications such as the Christian Science Monitor, and in the program books of dozens of symphony orchestras and concert series around the world. Last spring, Linda Ronstadt read from his writings during her official testimony to the United States Congress on behalf of funding for the arts. Dr. Paulnack holds a B.M. in piano performance from the Eastman School of Music, and the M.M. and D.M.A. degrees from the University of Southern California, where his teachers included Gwendolyn Koldofsky and Brooks Smith. He is also a graduate of the Boston University Institute for Non-Profit Management and Leadership. He is a member of Phi Mu Alpha Sinfonia, which honored him in 2011 with the Signature Sinfonian award and National Honorary membership.